But before I get to the recipe, I just want to say Welcome to all my new subscribers! It has been a great week for new followers...and I am SO happy you are here! When I finally dragged my tired body into the house almost 12 hours after I left it, all I wanted to do was crawl into bed with a hot water bottle and watch some mindless TV. But I didn't. I stayed up to edit pictures, copy a recipe and share this post with you. That's how much I appreciate you! Let's get to the cookies. 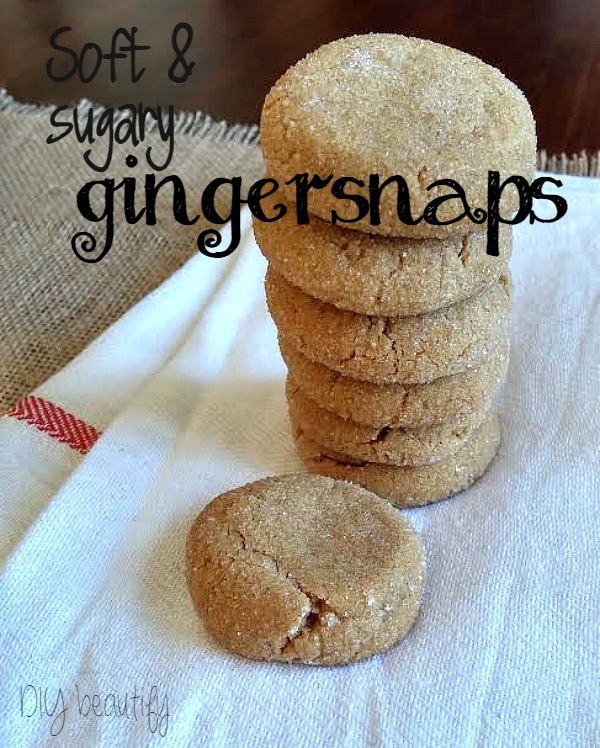 These are not traditional gingersnaps. They're not crispy. They're puffy, soft cookies, rolled in sugar and baked until they're amazing. They're not spicy. They're just right...And everyone loves them. Cream together first four ingredients until fluffy. Sift together dry ingredients and stir into molasses mixture until well blended. Form in small balls. 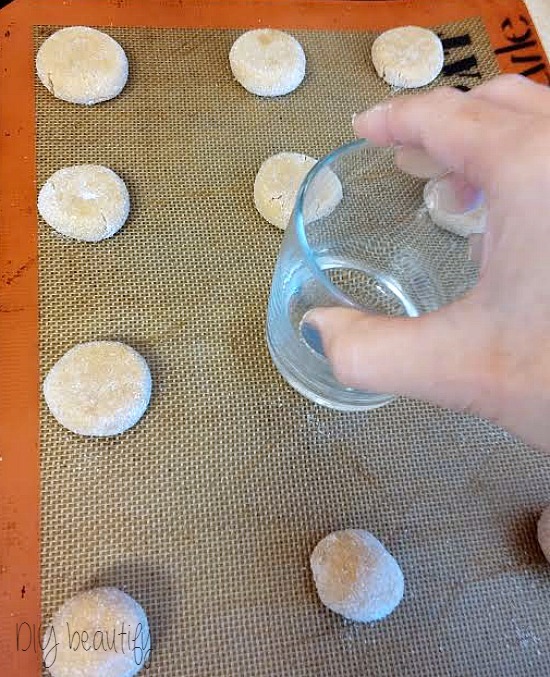 Roll in white sugar and place 2 inches apart on greased cookie sheet (or silpat mat). Press lightly with a glass to flatten a little. Bake at 375 for about 10 minutes. Here's the process in pictures, because that's always helpful for me. 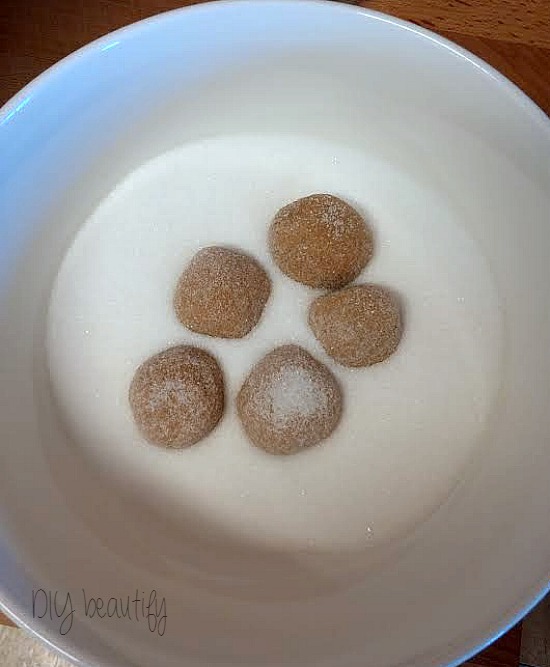 I keep a bowl of sugar sitting beside the mixture and I form about 5 balls at a time and drop them in the sugar. Then I give the bowl a shake so the cookies get covered in sugar. Once they're on the baking sheet, press very lightly with a glass to slightly flatten them. Just pounce the glass on the tops. I make them fairly small because I find they bake better. 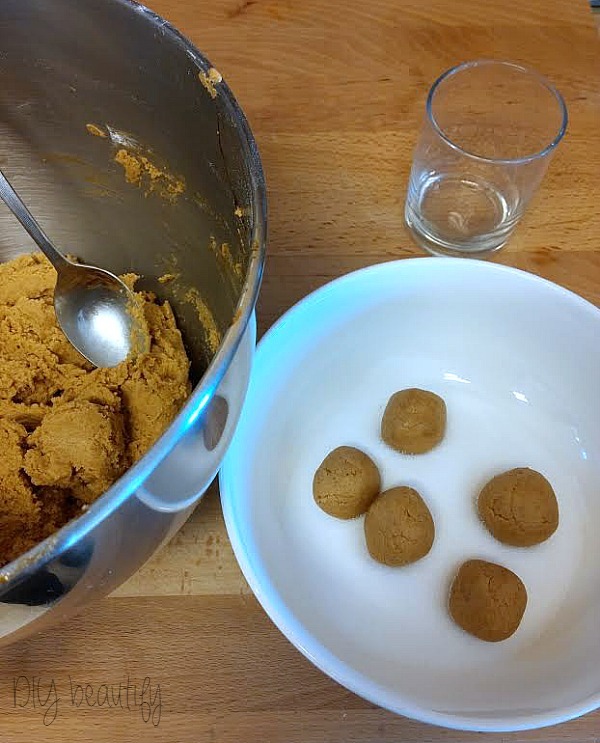 I hope you'll try these cookies, from the DIY beautify family to you! 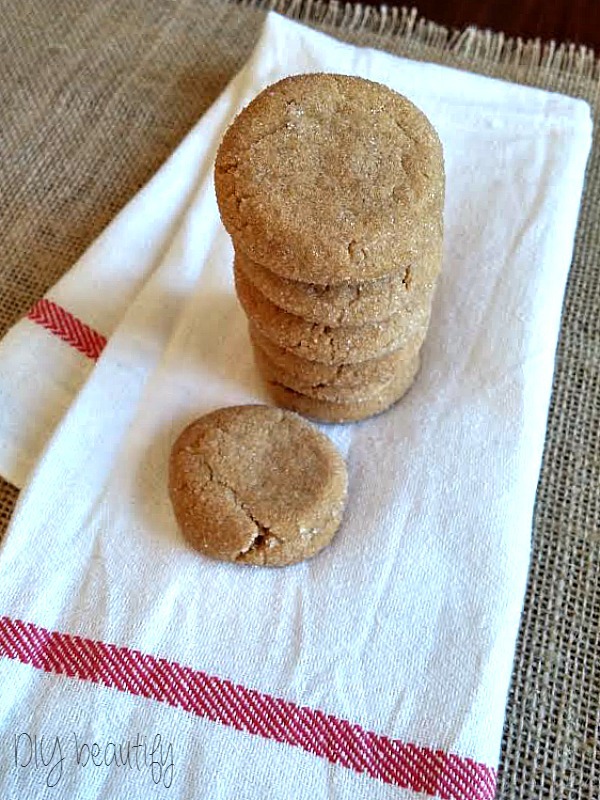 I'll be baking another batch of these this weekend because my kids gobble them up so quickly. Hope you try these, they're yummy.... And are guaranteed to make you feel better, lol. Oh yum! These look so soft and delicious! Thanks for linking up to Show Me Saturday.